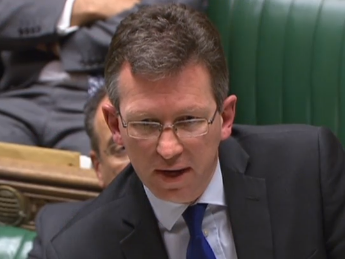 Culture Secretary Jeremy Wright has been accused of “sleeping on the job” and ignoring an “inevitable crisis in local news” after Johnston Press was put into administration. 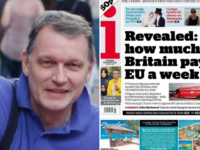 The publisher, which has a stable of titles including The Scotsman, The Yorkshire Post, and regional titles, was bought out of administration by creditors through newly-formed company JPI Media over the weekend. But shadow culture secretary Tom Watson told MPs today that the saga represented a much wider crisis in local news which was being ignored by Government. Watson poured scorn over “tech oligopolies” such as Facebook, and said newspaper proprietors like Rupert Murdoch had more respect for democracy than the likes of social media boss Mark Zuckerberg. 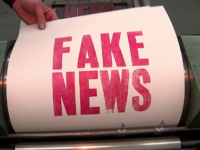 He told MPs as he raised the Johnston Press issue in the Commons: “Since 2005, 200 local newspapers have closed and we’ve lost half of all local journalists – for 10 years we have seen the impact of digital disruption on local journalism. “While ministers prevaricate and hold open sessions, tech oligopolies have consolidated their media advantage by dominating digital ad revenues, they continue to avoid fair taxes and will pay less once the Government’s corporation tax cuts are introduced in the Finance Bill. “Some have even allowed criminal data breaches on their platforms, worse they sneer at parliaments around the world trying to hold them to account. Watson went on: “There is a crisis in local newspapers that we’ve known about for many years. “The Secretary of State has only been in post for 134 days, in that time he has overseen the resignation of a respected minister, he has made an obviously and humiliating climb-down on FOBTs whilst ignoring what everyone knew would be an inevitable crisis in local news. Watson also asked for clarification over reports that Johnston Press company pensions were at risk of cuts. Wright (pictured) responded by accusing the Labour deputy leader of playing “political point scoring” with a serious issue. “The problems affecting local media have been apparent for some time and they are structural problems, that is precisely why we believe the right approach to take is to ask for an independent assessment of those structural problems which Dame Frances Cairncross is carrying out and will be completed shortly,” he said. “When it is, we’ve asked Dame Frances to give clear indications of what she believes the answers may be so that we can consider what action a government can properly take. Confused, a culture secretary whose actually a barrister, a house whose regulation of data is alarming to say the least, and Mr Murdoch whose fortune is based upon everything opposed to democracy. What are they actually bickering about?